Ararat’s Aradale Mental Hospital, formerly known as the Ararat Lunatic Asylum, will celebrate its 150th anniversary on October 19, 2017. Celebrations are being planned to coincide with the anniversary by Friends of J Ward Inc. The format for the festivities will consist of a formal welcome at 2pm on Saturday, October 21 at Aradale, with guest speakers, walk throughs of some of the buildings with a guide, and afternoon tea. The organisers would especially like former staff members to attend. In the evening there will be a formal dinner at J Ward and a light and sound spectacular, which will incorporate the projection of images onto the walls of J Ward. Members of the public will also be encouraged to come and view this event. The celebrations will include looking back on 150 years of the history of Aradade, including the very beginning when work commenced on building the new hospital on January 1, 1865 and its completion in 1867. The first patients were moved into the new Ararat Lunatic Asylum on October, 19 1867. John James Clark is credited with designing the hospital, he also had a great deal of input into the design of Government House in Melbourne, as well as many other buildings of the Colonial era. It became a major hospital for the treatment of mental health issues and was also a major training hospital. At its peak of operations in 1959 it contained approximately 900 patients and close to 500 staff. Ararat was heavily dependent on Aradale as a major employment venue for many decades. The hospital closed on December 10, 1993, following a decision by the Victorian State Government to ‘de-institutionalise’ patients in the mental hospital system, although the forensic wing remained open until September 1997. Aradale became a campus of Northern Melbourne Institute of Tafe in 2001 as a wine college, the plan being to take in students for courses on viticulture and winemaking. N.M.I.T changed its name to Melbourne Polytechnic in October 2014. 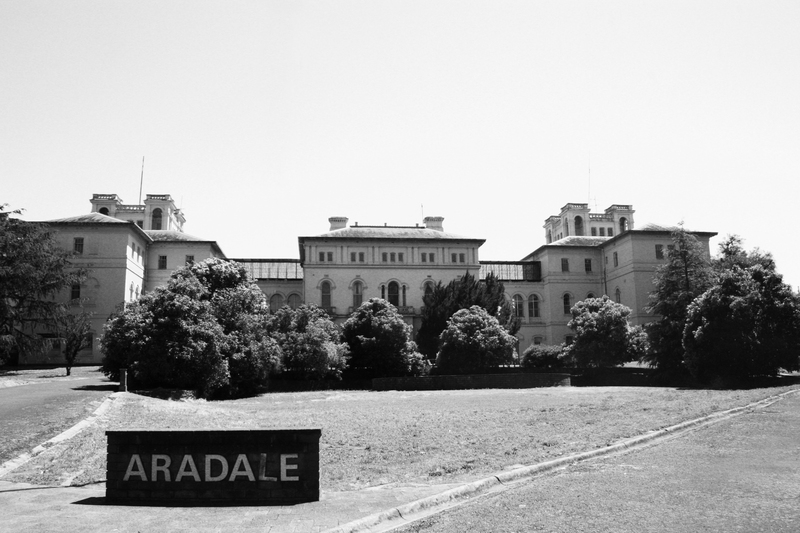 Historical tours of Aradale are now conducted on Wednesdays and Sundays by Friends of J Ward members, while ghost tours take place on Friday and Saturday nights by Eerie Tours. Registration of intention to attend the 150th celebrations is essential for catering and organisational purposes. Further details will be available in the coming months.